Are you trying to move to the next level with your songs? Songwriting Worksheets can help. Sure – you could just write, but worksheets will help: (1) guide the process, (2) give you a better grasp of more advanced techniques by implementing them, and (3) spur your creativity. Songwriting worksheets are the single best way to quickly gain new song craft skills! To help you select the right worksheets at the right time – for the right task, I’ve broken up these worksheets into beginner, intermediate and advanced. BEGINNER songwriting worksheets will help you with the basics like rhyme and song structure. INTERMEDIATE songwriting worksheets will focus on more advanced techniques like repetition, imagery, rule breaking for effect, and basic song analysis to find new techniques. ADVANCED songwriting worksheets will focus on commercial appeal assessment, mining other songs for techniques, and prosody. This is a handy sheet for finding chords right off the bat when you start writing. It also gives a quick conversion chart in case you need to change keys, and quick tips on using a capo to change keys if you’re already playing chords that are comfortable for you. I like my flatted 7th chords, so those are included as well! This is a worksheet to help you quickly get a song idea down into an outline format. It can help you get past second verse hell or simply help you organize your story. It’s also great as a tool for outlining other people’s songs to give you a sense of how they work. Song Idea, Rhyme & Instructions – an adaptation of Pat Pattison’s songwriting methodology, these worksheets provide instructions and a template to outline your song idea and guides you through finding key words for your song, and rhyme options using a rhyming dictionary. Same worksheets as above, but without the instructions. Once you’ve done it, or if you just need some worksheets, these are easy to print to get a song started! I use this to self-critique, and it’s a simple tool for hanging with other songwriters and doing critiques for feedback that keep the conversation on point. It uses a number system and helps guide the conversation around key song craft elements. Use this sheet to get a quick sense of how a song is structured, it’s tempo, theme, word count etc. – all the things Ralph Murphy looks at for his annual review of #1 songs. You can use this to help you understand charting songs, as well as some of your favorites in any genre. Handy worksheet to help you understand the ins and outs of a song by breaking it down into key elements. Pick a song you like and see what makes it tick! 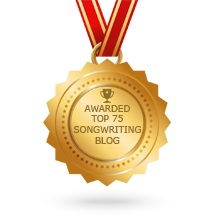 Songwriting Exercise: What Makes That Song Tick?